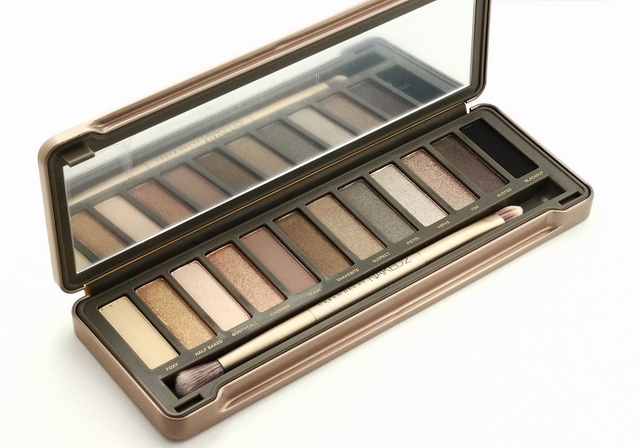 I have and adore Urban Decay's original Naked eyeshadow palette. The number of neutral eye looks that one can come up with is endless, thanks to it's beautiful array of complimentary neutrals. When the Naked 2 eyeshadow palette first came out, I figured it wasn't necessary for me to have both the original Naked and Naked 2 palettes. 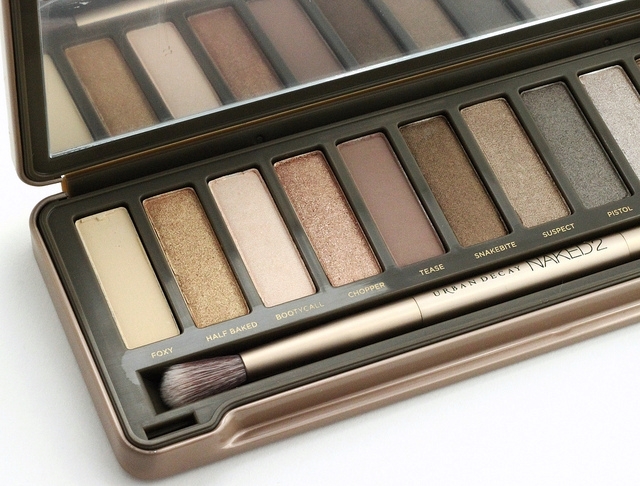 But eventually, I caved and ended up purchasing the Naked 2 Eyeshadow Palette ($50) a couple of months ago. Ah, the life of a makeup aficionado. 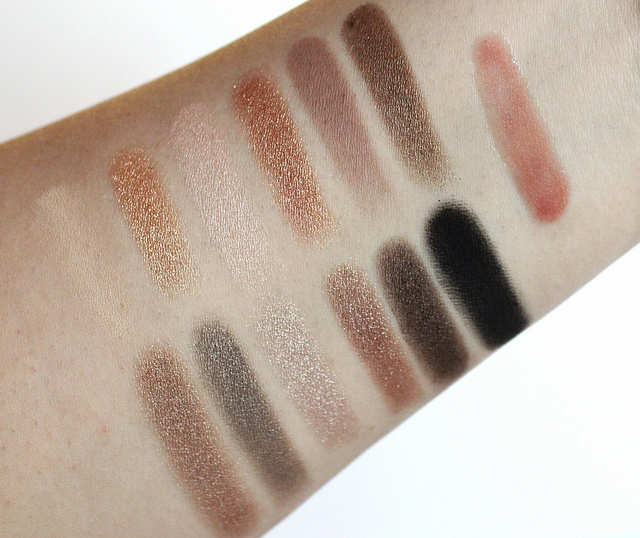 The twelve neutral eyeshadow shades in the Naked 2 palette contain a nice variation of finishes, which is something I really appreciate since I just love having options. There's mattes, glitters, and shimmers. A little bit of everything. The eyeshadows in this palette lean a little bit on the cooler side, as opposed to the warmer shades in the original naked palette. I tend to favor warmer hues when it comes to neutral eyeshadows, but these totally work for me. The colors are all very flattering on. The pigmentation and texture on these are great. The eyeshadows pack a nice color punch, and their smooth buttery texture makes these eyeshadows a dream to apply and blend. Watch out for the glittered shades though, since they can produce a bit of fall out. Over my Urban Decay Eyeshadow Primer Potion, these eyeshadows can hang on for hours, with very minimal fading by the end of the day. 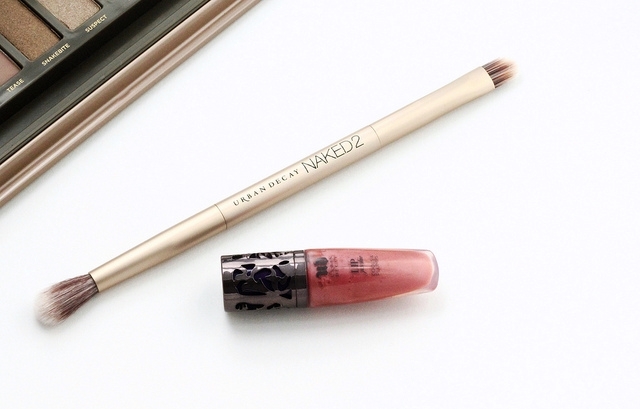 Along with the eyeshadows, the palette also includes a double ended Good Karma shadow/crease brush, which is cruelty free, as well as a travel size tube of Lip Junkie Lipgloss in Naked. The brushes are super soft and great quality, but they are too stiff for my liking. The Lip Junkie gloss feels nice on the lips, and the texture of it isn't too thick or sticky. I love the vanilla-mint fragrance, as well as the refreshing tingle that I feel on my lips right after application. The neutral pink hue goes on sheer, and this imparts a juicy look that I can never get enough of when it comes to lip glosses. As for longevity, I can get about 3-4 hours of wear, before the gloss fades away. 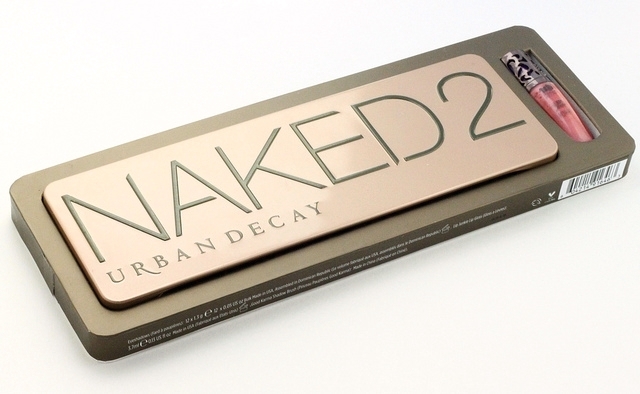 What do you think of Urban Decay's Naked 2 Eyeshadow Palette? I am so happy that you found this post helpful, Charlene. 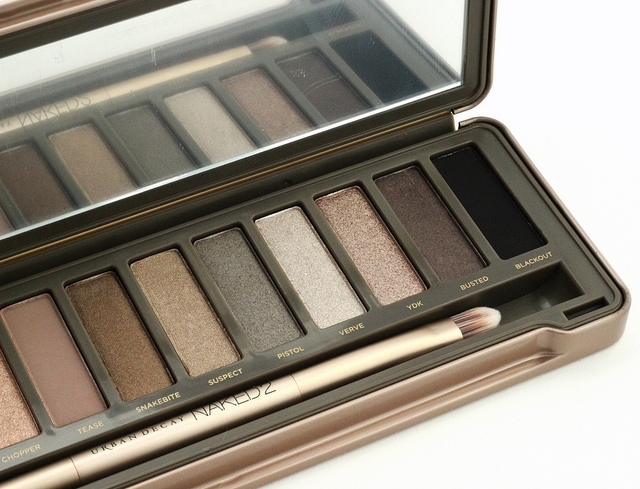 I have a feeling that you are going to love the Naked 2 palette, if you decide to pick it up!